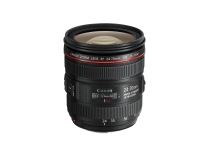 November 6, 2012 /Photography News/ Canon today adds to its EF lens series with the launch of two models designed for enthusiasts and professionals – the EF 24-70mm f/4L IS USM and EF 35mm f/2 IS USM. Offering first-class optical technologies alongside highly compact designs, the new lenses are perfect for a range of creative purposes, including reportage, landscape, portrait, and travel photography. 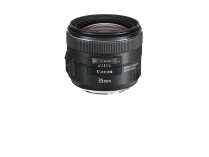 Both lenses include aspherical lenses and Super Spectra Coatings optimised for each individual element, Canon’s Image Stabilizer (IS) technology and Ultrasonic Motors for superfast Auto Focus (AF) – providing outstanding optical performance. The EF 24-70mm f/4L IS USM is also the latest lens to feature Hybrid IS, delivering shake-free shots at any distance, including at macro focal lengths. 7 comments so far. What do you think?